My little Garden: the biggest courgette I've ever seen. A few months ago I posted this post about 'My Little Garden'. In the blogpost I tell you about the veggies I was growing. You can read about that here. And totally forgot that I had this blogpost ready to go online. I've been so focussed on my thesis that I put my blog aside. (I will post here and there, but I just need to focus as much as I can on my thesis!) Here is the a very very late update about my little garden. 4. The one and only courgette that grew was the biggest I've ever seen. The beans and the beets tasted amazing. From the beets we made beets stew. And I ate twice from my beans. It was not enough to feed the whole family. The stew was for 5 people (my parents, brother and sister). It may sound weird but it was fun to eat my own grown veggies. But the courgettes, they wouldn't grow in our garden. The plant tried to grow a courgette and then get rid of it or something. It just didn't work. For the record, the water melon was as almost as big as the size of a normal football. This is just a giant courgette that weighed around 3 kg. My sister made a lot of courgette soup of it. Sadly the seeds were so big they weren't edible anymore. So it looked amazing. But next time I should take it earlier of the plant so it stays edible. 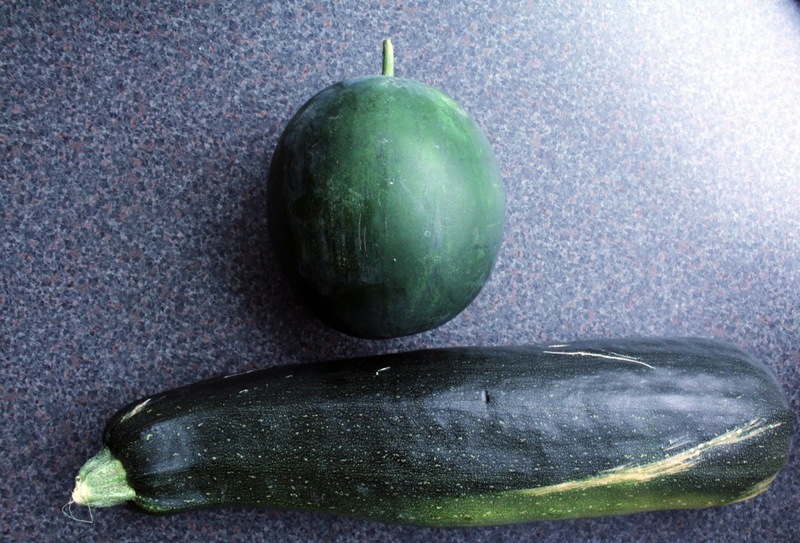 1 comment on "My little Garden: the biggest courgette I've ever seen."